Sail Making and Boat Covers, local service. Shipwright Morgan working on Tingles. Restoration of a wooden Bawley. 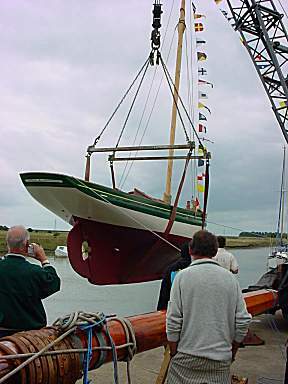 Craning back into the water, finished and ready for many days sailing. 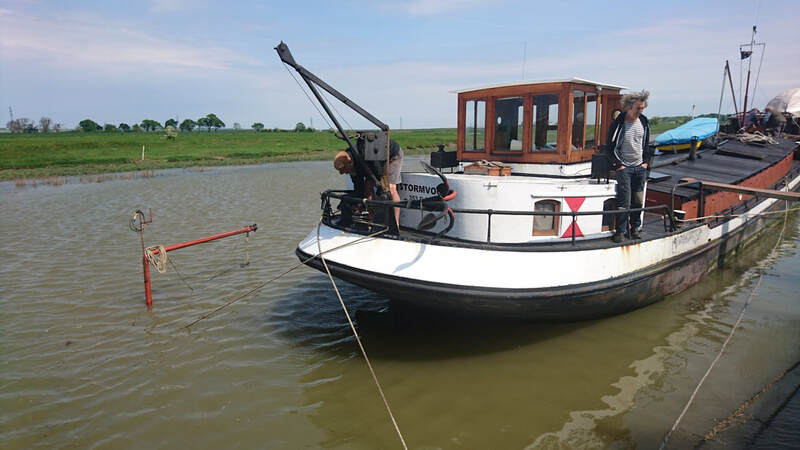 Floated into Dry Dock ready for the tide to drop. A view from the otherside of Faversham Creek; a misty day.